People who have elected plastic surgery or cosmetic surgery, have done so either wanting to improve their aesthetic appearance or for health related reasons. The last thing these individuals need is complications or to end up worse off than they were when they chose to undergo the original procedure. Was the doctor qualified or competent? Did the procedure result meet your expectations? Were you informed of the severe risks, complications and alternatives of your surgery? Did the doctor perform more surgery than you originally agreed? In plastic surgery cases, we try to help patients who have had bad plastic surgery obtain answers as to whether the bad result was simply a bad result, or whether it was caused by the negligence of a doctor. Was Your Doctor Even Qualified? A trend we have seen over the last 10 years, is a number of non-qualified doctors are now attempting to perform plastic and cosmetic surgery even though they have little or no training in these areas. Be very careful about doctors calling themselves ‘cosmetic surgeons’. This title is different than the title of ‘plastic surgeon’. To be a plastic surgeon typically requires a five year residency in plastic surgery. Many doctors will now tell patients they are cosmetic surgeons, to the ignorance of the patient. Surprisingly, doctors do not need to be ‘plastic surgeons’ to perform breast augmentations, liposuction, tummy tucks, nose jobs, face lifts or eye lid surgery. Instead, certain doctors, strictly for pecuniary gain are attending weekend seminars where they receive certificates of attendance and use these weekend seminars as basis to show patients they are qualified. We have had cases against dermatologists and OB/GYN who were not competent to perform plastic surgery and who had horrific results for their patients. A weekend seminar does not qualify a physician to attempt plastic surgery or cosmetic surgery, and greatly increases the chance of complications, infection, bleeding, permanent scarring and even death. More and more, non-qualified doctors are attempting plastic surgery. Our representation for plastic surgery errors is based on a contingent fee structure. 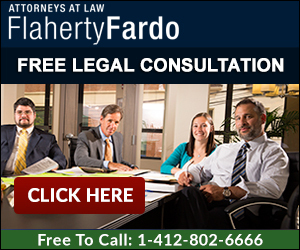 There is absolutely no fee unless we obtain recovery for you. We advance 100% the costs and are only reimbursed from the client’s share if we are successful.